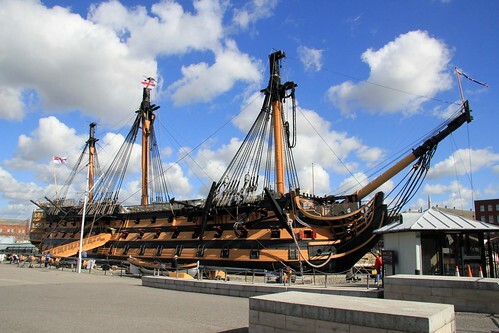 is currently undergoing a period of restoration and visitors have the unique opportunity to witness the process taking place on the oldest commissioned warship in the world and a proud memorial to Vice Admiral Lord Horatio Nelson, Britain's greatest Naval hero and his stunning victory at the Battle of Trafalgar. • The recently opened sick berth, as seen on BBC1's National Treasures Live! has intrigued for centuries. Since Henry VIII watched, in vain, as his favourite ship sank in front of him taking hundreds of the crew to a tragic end, through the quest to find, excavate, raise and ultimately save her for the nation - the story of Mary Rose continues to thrill.